Reality TV is taking over, especially after the postmodern era has enforced us to get thrilled about celebrities’ luxurious lives. People have long been curious to know what happens behind the scenes. The audience curiosity is way has given rise to reality TV and made reality stars idols and public figures and, of course, got them tons of money. So, Top Ten lists best 10 of the most glamorous female reality stars, who have definitely had an influence on our society and how teenagers think and dress. Nicole Elizabeth “Snooki” LaValle is an American reality television personality. Not to mention that she is also a wrestler and a dancer; that girl has a real talent. Snooki has her own reality show that has her name in it, called Snooki & JWoww. The 29-year-old Tv personality has established her name and popularity by appearing on talk shows including The View, The Ellen DeGeneres Show, Jimmy Kimmel Live!, Late Show with David Letterman, and The Wendy Williams Show. Snooki has been named as one of the hottest and most popular reality stars since 2009 when her reality star personality kicked off in 2009. The lovely brunette is regularly posting pictures of herself and her squad on Instagram and she is even becoming hotter. There is nothing better and hotter than a mature woman who is beautiful, smart and classy. Lisa Vanderpump’s rise to money and fame did not just follow her debut The Real Housewives of Beverly Hills as Lady Vanderpump has owned around 26 restaurants located in London, Los Angeles, and other popular regions. Yes, the woman is business savvy. She is still one of two stars of the original cast of the show that still make appearances on the series. Then she took her reality persona to a whole know level after a spin-off called Vanderpump Rules launched. She also made it to Dancing With the Stars for a hot minute before she got disinterested and set out to leave the show. We said that there is nothing more enchanting than a woman who has both the beauty and the brain. Vanderpump has not aged at all with over $65 million. So you judge! Now we are talking about real beauty and glamor! The Polish American model is famous for appearing on the reality television shows Dancing with the Stars, Top Model, and The Real Housewives of Miami. Named the Sexiest Swimsuit Model in the World, Maxim ranked her #55 in its 2011 world’s 100 hottest women ranking. The Real Housewives of Miami star has been open about her love for animals; she has even branded herself as an animal-rights activist. When she is not rescuing animals, she flaunts her body for the career she loves, modeling. Even though she is not in the reality Tv industry anymore, Krupa has opportunities and potentials to get back to become a real Miami housewife back again. Lala Kent is the new hosts of Lisa Vanderpump’s spin-off Vanderpump Rules in which Vabderpump introduces her restaurant and gives us a glimpse of what happens behind the kitchen’s doors. Apparently, Kent is gorgeous and hot which sent other women in the show on a flight of jealousy. Despite all, the young model and singer has the way of fame and wealth before her. She has drawn all the eyes towards her. The girl has the raw material of a superstar; however, all she needs to do is to work more till she reaches more reality tv shows and Magazine covers. 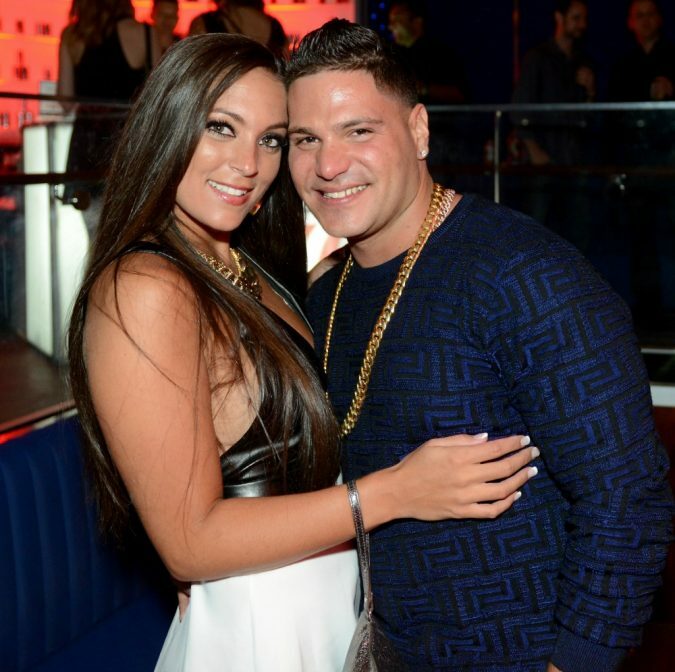 Sammi Giancola was one of the main cast members of Jersey Shore. She was also seen arguing with Ronnie Margo (before getting back together with him in the end). Well, the couple once again splits, but Ronnie probably regrets it and may ask to get back. Giancola may not act like a princess or a lady; however, she is beautiful and has body curves. Of course with beauty, hot body, and work she can be the perfect supermodel. No doubt that Keeping Up with the Kardashians is one of the biggest successes in the reality Tv industry. Not to mention, these ladies have proven that they are successful and smart when it comes to promoting their brand and controversial popularity. Whether you are a fan of Kimya relationships, Kylie’s lip hit, The family Vogue girl Kendall’s rise to fame, Kourtney’s and Khloe’s spin-off or not, we have to admit that the Kardashian-Jenner clan are taking over. As a mother of three, Kourtney is doing insanely well when it comes to maintaining her healthy skin and body shape. Undoubtedly, she is a bit tiny compared to ‘Kurvey’ Kardashians, but Kourtney is reportedly natural when it comes to her body as we usually do not see Khloe’s and Kim’s famous and considerable curves. Surprisingly, the tiniest Kardashian is the eldest daughter of the whole clan. The third-eldest Kardashian has needed applaud and standing ovation for changing her body shape, working, doing exercises and eating healthy. Khloe is making a difference when it comes to her shape. The show has displayed that Khloe has long suffered from lacking some privileges with which her elder sisters were graced. However, Khloe, whether you like her or not, has changed a lot. And notably, she has been presented as a helpful, especially when it comes to baby sisters Kendall and Kylie. Born on November 3, 1995, to Kris and Bruce [now Caitlyen] Jenner, Kendall is known for her rising and promising modeling career along with her besties Gigi Hadid and Cara Delevinge. Within a short period of time, Kendall has done catwalk at fashion weeks in Paris, New York, and Milan. Although the Kardashian and Jenners are always criticized for several reasons, including plastic surgeries. Kendall is the only member of the family who has not done as many surgeries as her sister, despite the fact that there speculations that she has had a nose job. After all, Kendall’s looks remain natural though. Not to mention, she is the most followed model on Instagram. The 19-year-old reality star is definitely ahead of her peers and fellow teens when it comes to business and fame. Undoubtedly, Kylie’s parent’s money and sisters’ fame have helped her a lot establish herself in Hollywood and launch beauty cosmetics as Kylie’s famous lip kit, which was used by celebrities as Demi Lovato. Like to her sisters, Kylie was criticized for having plastic surgeries and lip fillers at such a young age, although she was naturally beautiful like her sisters. However, the young entrepreneur has believed that she should do whatever makes her happy. Kylie loves to share funny moments with her fans on Snapchat. We guarantee Snapchat is this young lady’s favorite app. Kim Kardashian is one of the most controversial figures in Hollywood and the media. There is no doubt that Kim’s fame and other controversial dating history and tapes have reportedly given rise to her fame. However, we should all agree that Kim knew how to use all the swords pointed at her and take them to her advantage. She is undoubtedly the highest paid reality tv star. No one can break the internet with their controversial photos as Kim has done. So, who do you think is the most gorgeous and influential female reality star? Share your opinion in the comment section below.